The Toyota Innova has been a staple of Philippine MPV’s since it came out in the mid 2000’s and it still reigns supreme today. Well, it’s not anymore the king but it’s somewhere up there with the likes of Kia, Hyundai and many others. And why not? It’s got 7 seats in most models and half the models now are manuals and the other half are automatics each with different trim levels to choose from. I drove an automatic from my ex’s dad and I’d have to say it’s most glorious. It’s not as high off the ground as a Fortuner, no doubt, and neither is the seating position but you definitely stand a better fighting chance than a sedan. It’s got 4 engines to choose from too; half of them diesel and comes with only a 5-speed manual and a 6-speed auto (I’d recommend going for the auto; it’s more convenient but if you feel macho, be my guest). 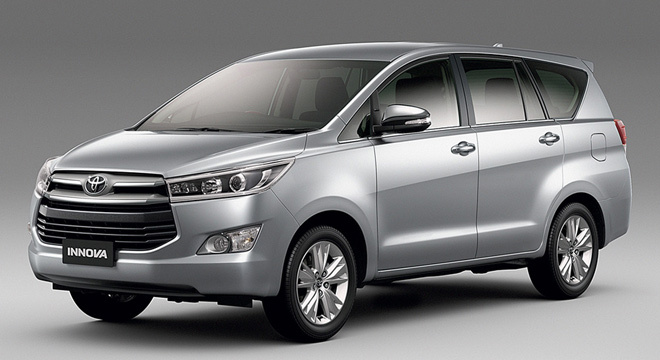 The new 2nd generation Innova has standard features where the old one offered them as options like a touchscreen infotainment display and proximity sensors. It’s engines also offer some degree of performance over the previous generation. At least it allows you to actually overtake a slow-moving 10 or 16-wheeler truck driving at 40 clicks an hour on the highway. In many cases, you could try your luck trying to get past those pesky sedans as they are holding up the “race leader”. The Innova does not have AWD or 4WD and as such, must minimize off-roading to light or moderate grades and leave the heavy to super-heavy to the big boys like the Fortuner and Land Cruiser. However, during light to moderate floods, this thing is a breeze to drive. It’s not as good as the off-road big rigs but it’s sure as hell better than that sedan that’s stalled and blocking my way. Although, I must admit it’s price tag of PHP 1,010,000 to PHP 1,679,000 isn’t really worth it.